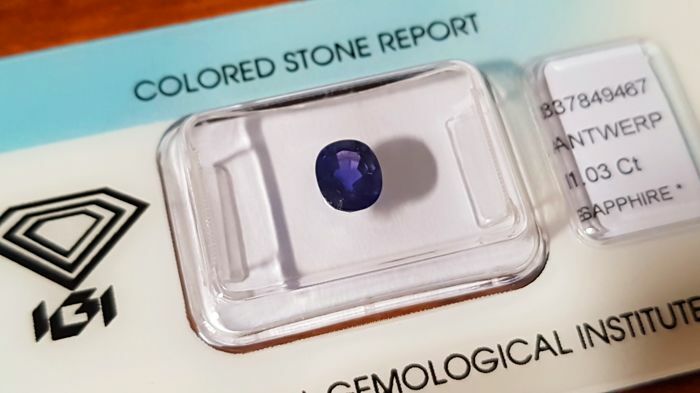 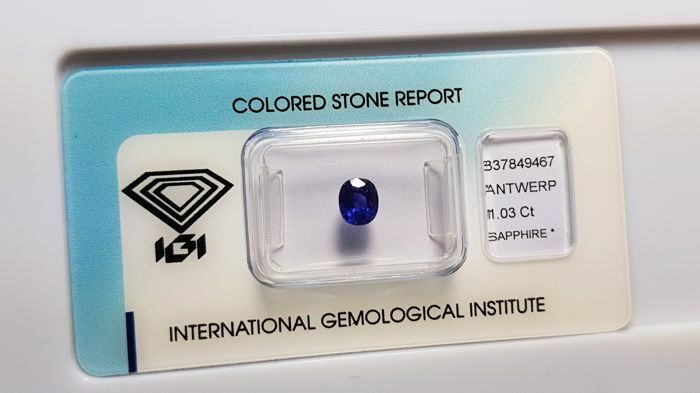 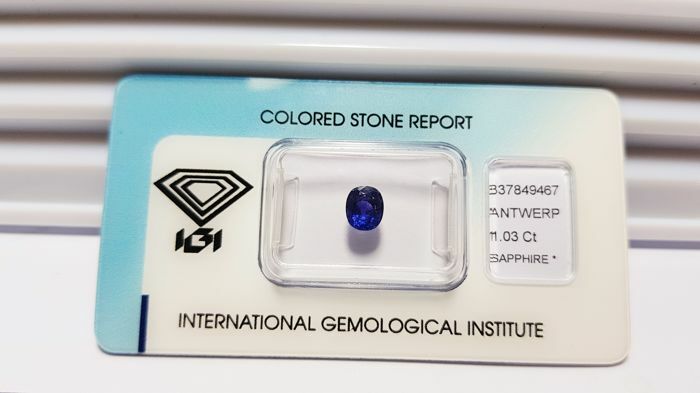 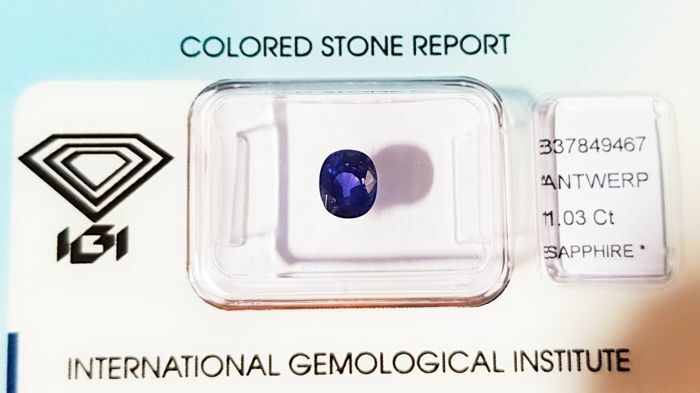 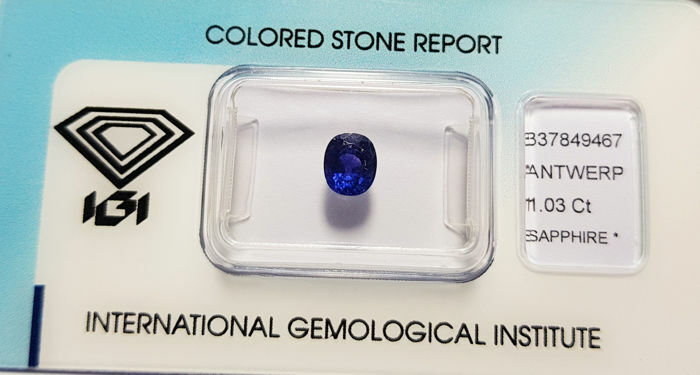 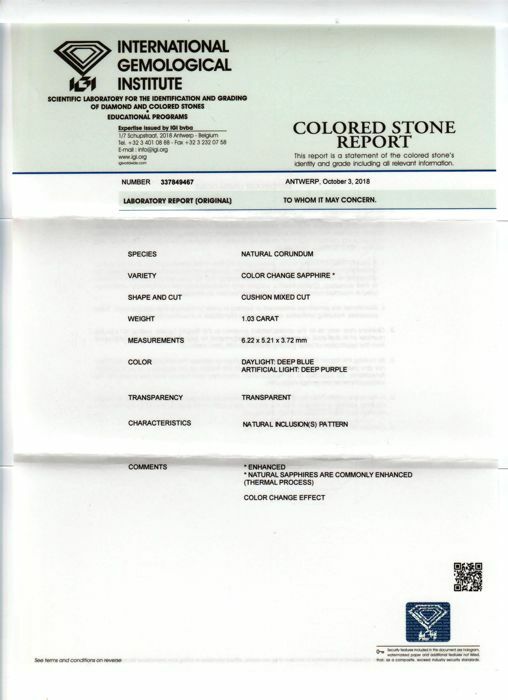 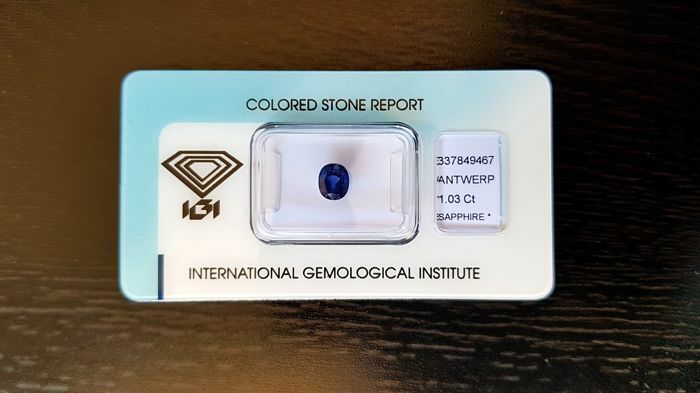 Colour-change sapphire from Tanzania - IGI certification (337849467). 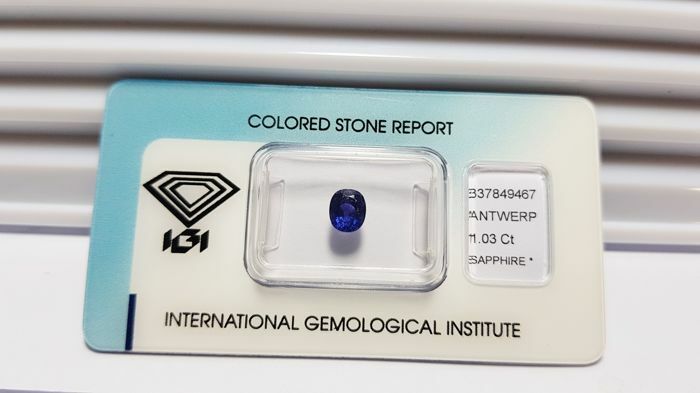 Comments: a pretty little colour-change sapphire from Tanzania, under IGI blister, weighing over one carat. 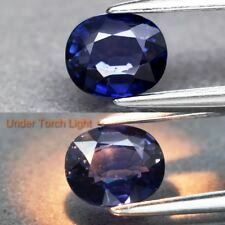 It displays a deep blue colour in daylight and a deep purple colour in artificial light.